Congratulations to Cmdr. 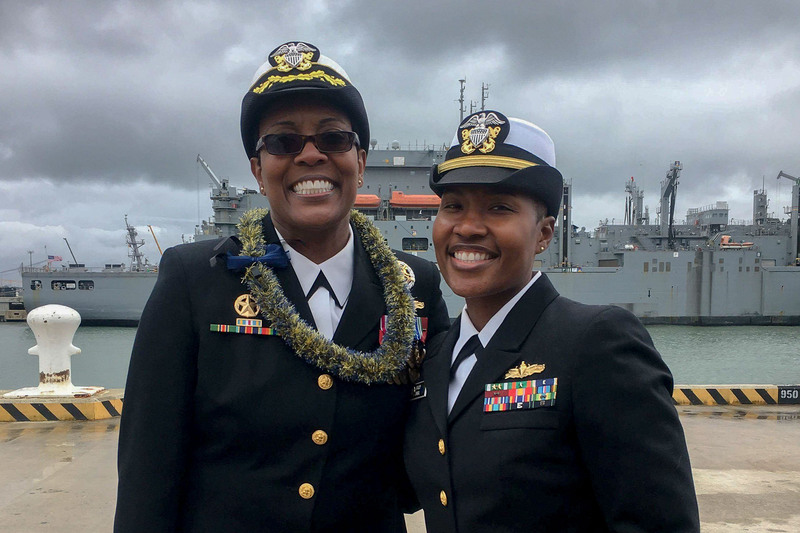 Janet H. Days, new commanding officer of the guided-missile destroyer USS McFaul (DDG 74). Days relieved Cmdr. 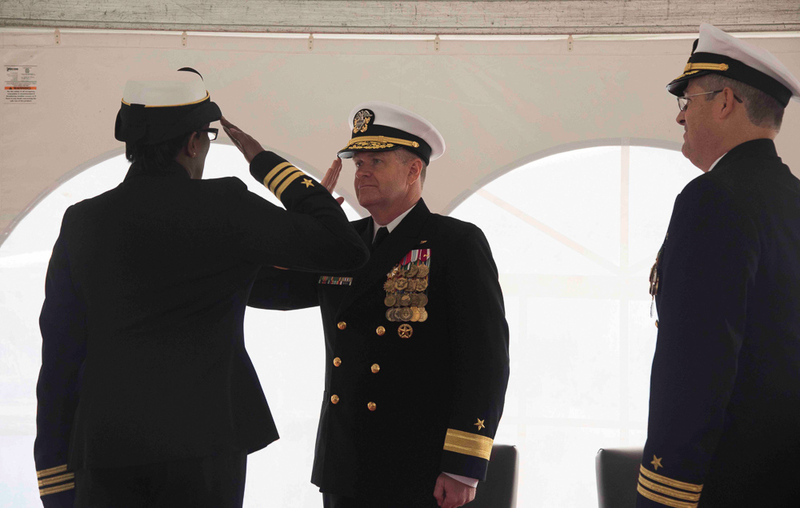 Joseph M. Bromley during a change of command ceremony onboard the destroyer at Naval Station Norfolk, Nov. 9. Additional photos found on McFaul’s Facebook page. Thinking about retiring or separating? Check out NAVADMIN 273/17, you can now submit your request online in NSIPS! Click here for the details. For nearly a century, Americans have remembered those who served our country in uniform on Nov. 11 – first as Armistice Day, then as Veterans Day since 1954. We join the nation honoring and thanking our veterans for their service. 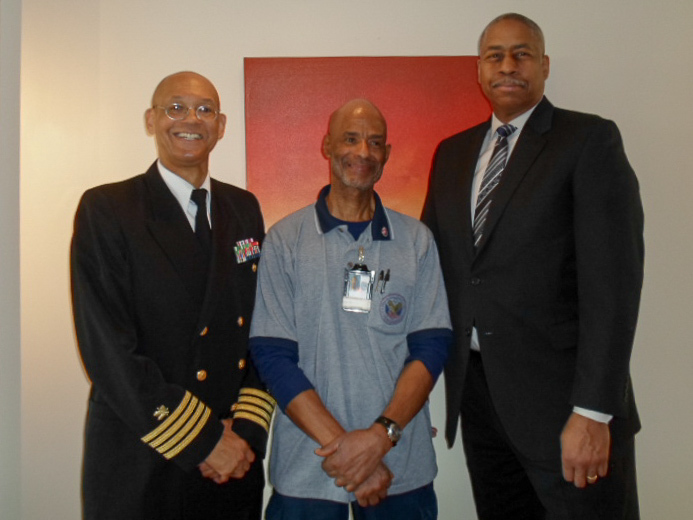 The Washington, DC Chapter of the National Naval Officers Association conducted its annual Veterans Day Hospital visit at the Washington, DC Veterans Hospital, Friday, Nov. 10, 2017. 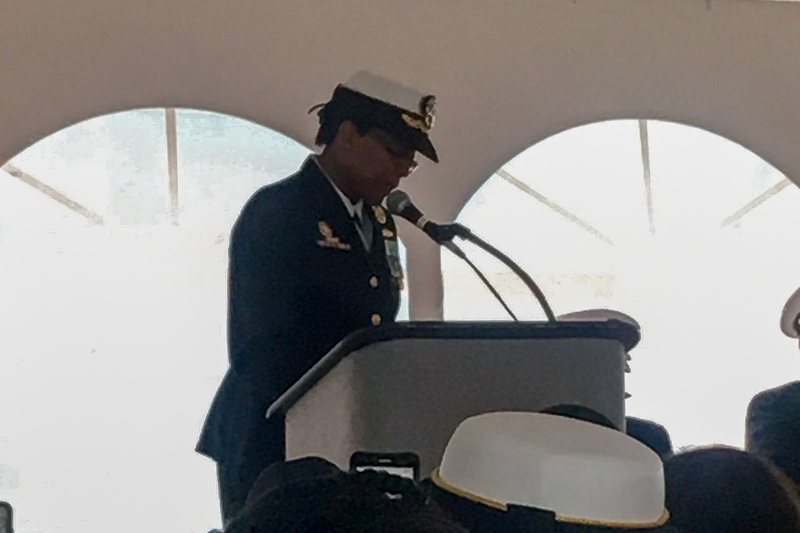 This year, Sara Fuentes and Ryan Donaldson, members of the Navy League of the United States Headquarters Staff, joined the Chapter during the event. As in years past, the Chapter visited patients and passed out hats, gloves, scarves and socks. 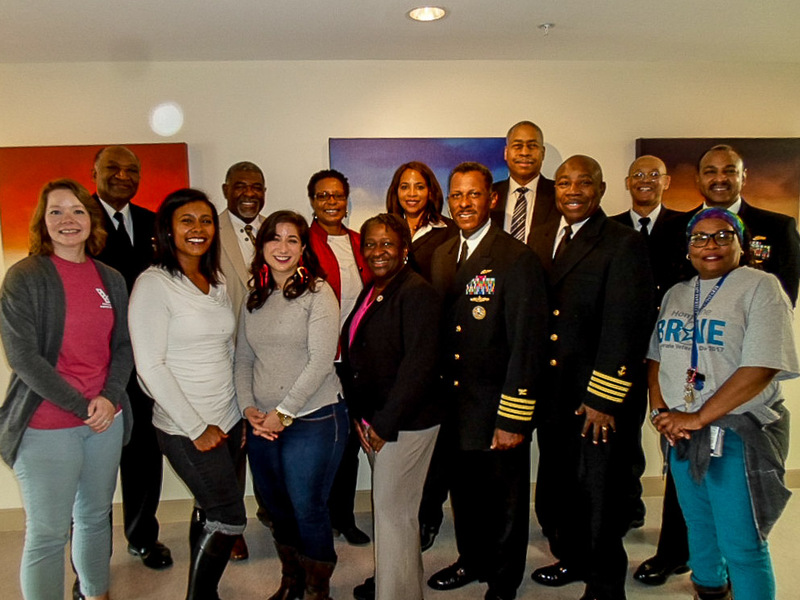 Also the Chapter conducted its annual Bingo Game with patients. 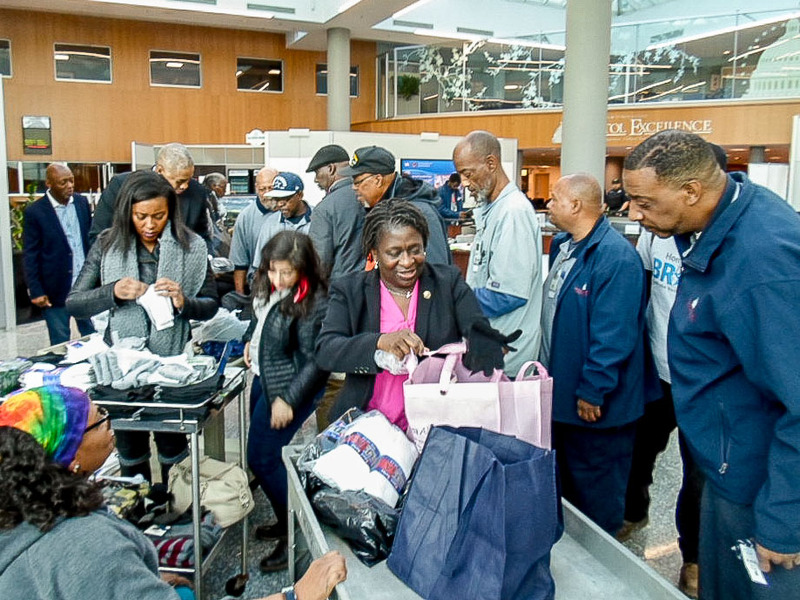 The event was a rousing success filled with fun, laughs and plenty of prizes and gifts for the patients. 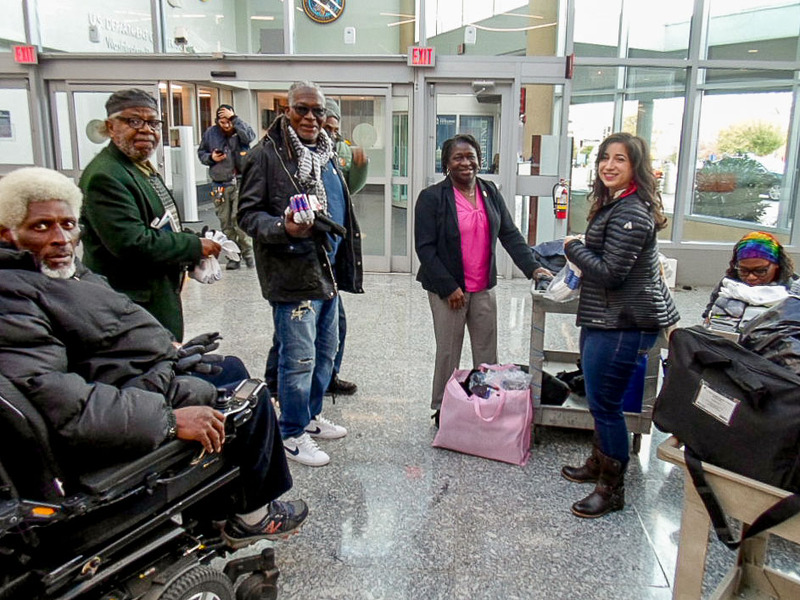 The Chapter says “Thank You” to all who contributed to and participated in this year’s visit and extends a special “Thank You” to Lynette Brady of the VA Hospital Staff and her assistant Karen for the exceptional job they did in coordinating our visit. In closing, the Chapter extends a heartfelt and hardy “Thank You for Your Service and Happy Veterans Day” to all veterans and their families! Below Gen. Neller and Sgt. 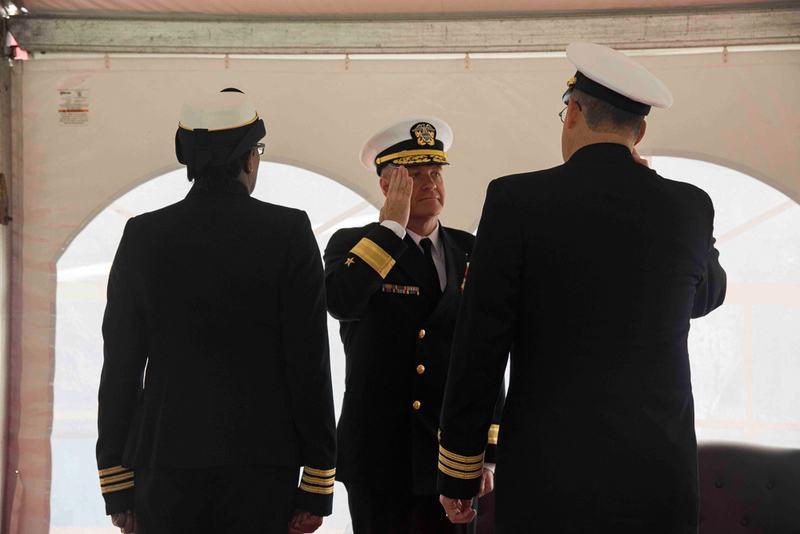 Maj. of the Marine Corps Ronald Green speak to Marines and Sailors about the importance of teamwork to the success of our Corps.